Recently, a professional tire testing team was tasked to find out just how much tire quality and tire wear affect winter driving safety. What they found may surprise you, especially for drivers of four-wheel and all-wheel-drive vehicles. Ultimately, the testing concluded it doesn’t matter how many driving wheels you have if none of them can grip the road. *These are more commonly referred to as “all season” tires, but as you will soon see, that name is not at all accurate and can get people into trouble who believe they are buying year-round driving confidence. 1. A worn premium winter tire can outperform a brand new “all-season” tire. When tested back-to-back on winter road corners, a premium brand winter tire that was 75% worn out held corners and performed considerably better than a brand new all-season tire. 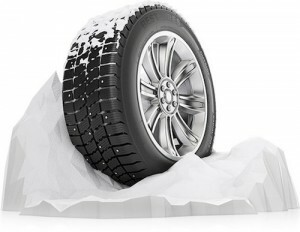 “With a premium winter tire, you’ve got that much more chance of stopping in time and/or keeping your vehicle on the road, even if your winter tires are half worn, compared to the vehicle beside you in brand new 3-seasons,” says Carey Hull, director of retail products, Kal Tire. If you believe that a “good” all-season tire can perform as well as a premium winter tire, you are wrong. Winter tires are made out of different rubber composites. All-seasons get rock hard and lose their ability to flex and grip in freezing temperatures. Winter tires are made of much softer compounds with dramatically different tread patterns designed specifically for winter grip and for clearing packed snow as they roll. 2. Four Spinning Tires are No better than two. Many people assume that being behind the wheel of a four-wheel or all-wheel drive vehicle takes all the risk out of winter driving and nothing could be further from the truth. Want proof? Take note of how many trucks and SUVs are in the ditch after the first serious snowfall or freeze this coming winter. The fact is, It simply does not matter how many driving wheels you have beneath you if none of them can grip the road. 3. Don’t just buy a winter tire, buy the best winter tire you can. 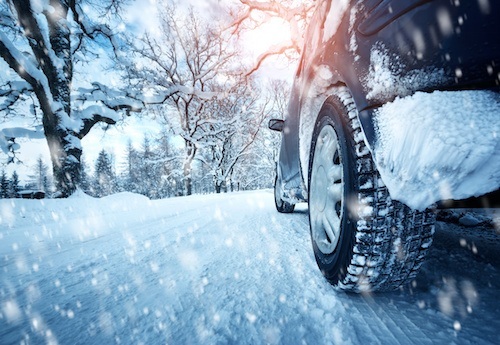 Buying quality winter tires will pay you back many times over because not only will they outperform a cheap winter tire when new, but they continue to perform increasingly better than cheap tires as they begin to show wear. During a braking test on icy roads a premium winter tire that was 75% worn out stopped in only 29.7 metres. The cheap winter tire with the same amount of wear took 32.5 metres to stop. That’s an additional 2.8 metres or almost 10 feet needed to stop safely. Don’t take a chance on tires that are cheap or designed for only three seasons. Stop by your local dealer’s service centre and ask for a consultation with a knowledgeable staff member. You and everyone on the road around you will be glad you did.